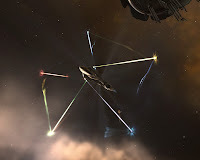 Mutations in spaceships have been documented from the early days of the founding of New Eden. Many mutations are selectively introduced into the various orders of spaceships. These introduced mutations are normally classified under the species 'faction' and species 'pirate'. However, natural mutations are known to occur throughout the native populations. A well documented case is the Disco Mutation that most commonly affects the family Amarr genus Battleship. The mutation is not restricted to the genus battleship. It appears to have a higher frequency of appearance across multi-turreted species causing reports of specimens in herds in both genus battlecruiser through genus destroyer. The Disco Mutation presents itself through an intricate display of multi-frequency laser beams. These lasers beams, normally focused as the battleship hunts are instead not focused and spread in chaotic patterns. It may be a particular glandular problem in the turret ammunition loaders that cause this shift. The mutation does not present itself obviously and the specimens that have been caught are often not recognized as Disco specimens until dissection. Unlike many mutations the disco mutation is persuasive. It does not appear to present itself until after sexual maturation. This latency in presentation may be the answer for why this mutation continues to perpetuate itself. Documented sightings occur most frequently outside of trade hubs. Characterized by its flamboyant nature, the Disco specimen often present itself in the middle of the herd. It is thought that while not a natural mating ritual the flamboyant and stunning nature may confuse young and immature females. However, due to the negative effects on the hunting ability of these spaceships Disco specimens often die early due to their poor hunting skills or inability to compete in battles for fleet positions and sec status. 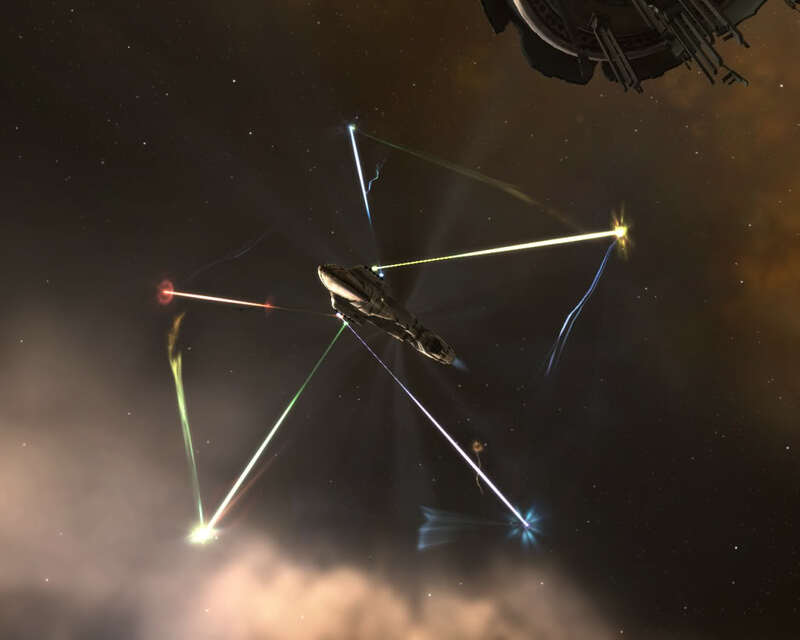 Most commonly seen in Amarr Spaceships, Disco mutations have been reported across Caldari and Minmatar respectively. The Minmatar representation may be confused with the close range smart bombing hunters. These slow predators use short, but powerful bursts of energy to stun small prey. They have slow metabolisms due to the size of their choice of prey and can most commonly seen crouching beside jump gates. These hunters, however, tend to be successful although due to their voracious appetites they often are put down by Concord as they stray into domestic systems to stalking flocks of ice grazing Mackinaw leading to a lower native population across classified Empire. Will there be any more biological articles on other mutations of the various species that inhabit New Eden? They are quite enjoyable reads thus far. Also, I think you mean 'excerpt' in your opening line. Thanks for the catch. That word plagues me. Sadly, I lost the first draft of this article and missed that when I rewrote it. These are a lot of fun for me to write and I plan to start producing one weekly (hopefully). The flora and fauna of New Eden is interesting and well worth proper study and documentation.